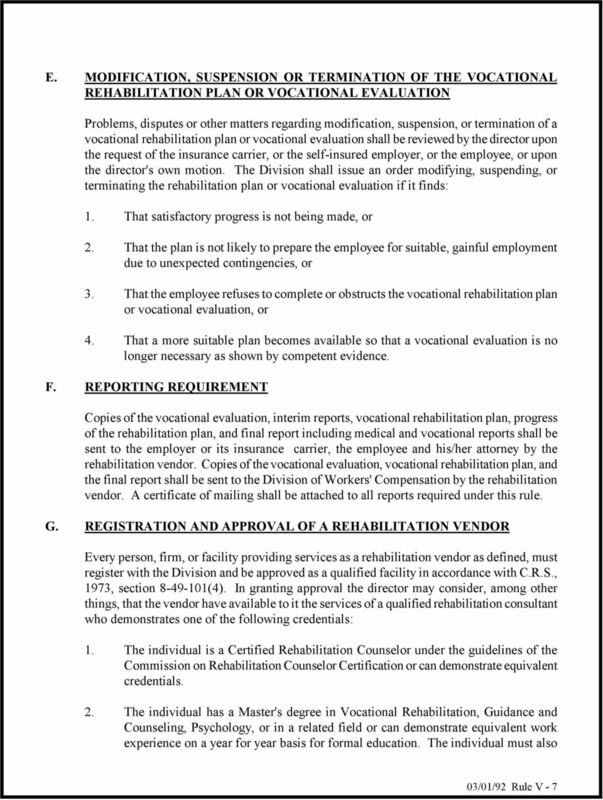 RULE V. VOCATIONAL REHABILITATION RULES APPLICABLE TO CLAIMS BASED UPON AN INJURY OR ILLNESS OCCURRING PRIOR TO JULY 2, l987 at 4:16 p.m.
Download "RULE V. VOCATIONAL REHABILITATION RULES APPLICABLE TO CLAIMS BASED UPON AN INJURY OR ILLNESS OCCURRING PRIOR TO JULY 2, l987 at 4:16 p.m."
STATE OF MINNESOTA. Department of Labor and Industry. 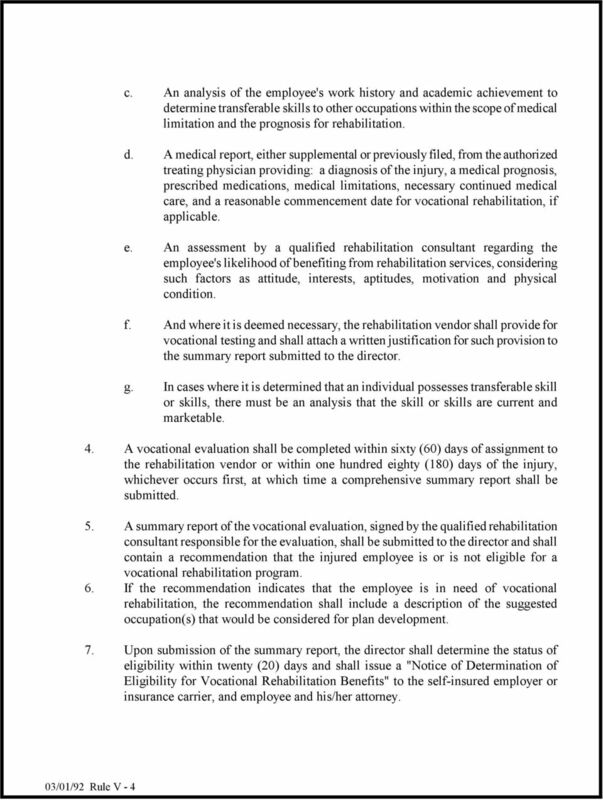 Rehabilitation Rules 5220.0100-5220.1900 Includes the rule amendments effective June 7, 2005. Revised May 2015. What Is Workers Compensation? Chapter 10 Workers Compensation and Seniors Gregory B. Cairns, Esq. Cairns & Associates, P.C. SYNOPSIS 10-1. Workers Compensation 10-2. Benefits Available 10-3. Filing a Workers Compensation Claim 10-4.
Who Administers the Workers Compensation Program and Related Responsibilities? What is Workers Compensation? 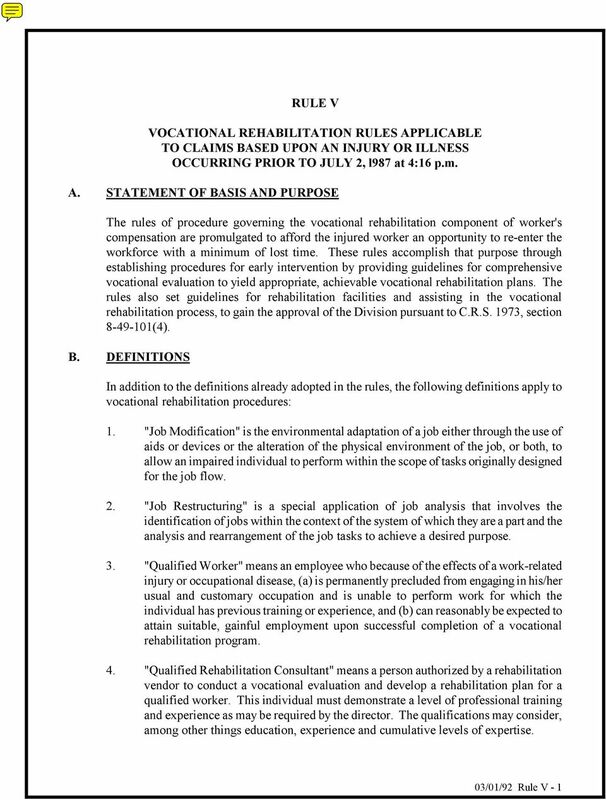 Who Administers the Workers Compensation Program and Related Responsibilities? Who is Eligible for Workers Compensation? What Coverage is Provided? What is a Compensable Injury? 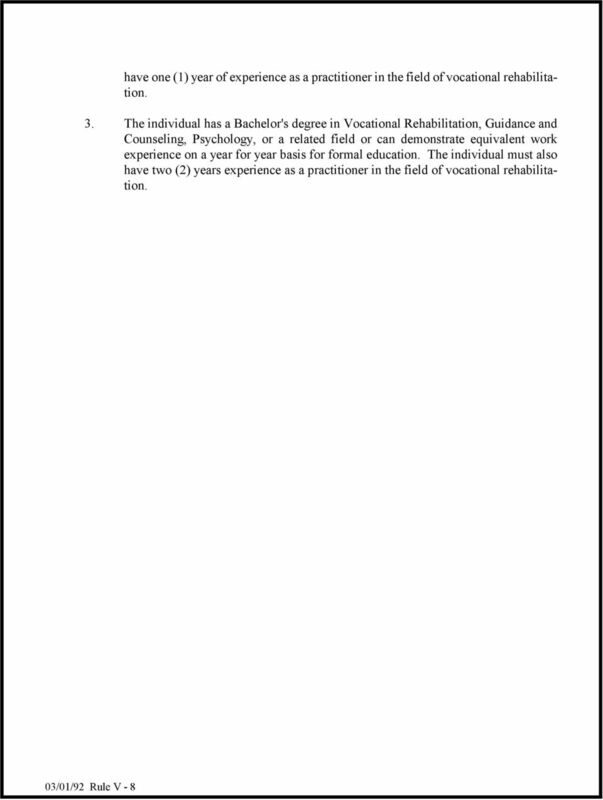 Section 11 / Part 14 Effective Date: August 20, 2007 Length of document: 7 pages Assistive Technology Services (Payment-for- Performance) Use Service Code 180 for Assistive Technology Assessment services. DENVER OFFICE OF RISK MANAGEMENT OF THE DEPARTMENT OF FINANCE Rules Governing Benefits to Firefighters for Certain Cardiac Illnesses for Compliance with Colorado Revised Statutes 29-5-301, et. seq. A. Who Is Covered by the WC Law? Who Is Covered by the WC Law? More than 98% of Wisconsin workers are covered from the day they start employment. You are covered if your employer usually has three or more fulltime or part-time employees. What Happens After I Report the Injury? MARCH 5, 2015. Referred to Committee on Commerce and Labor. 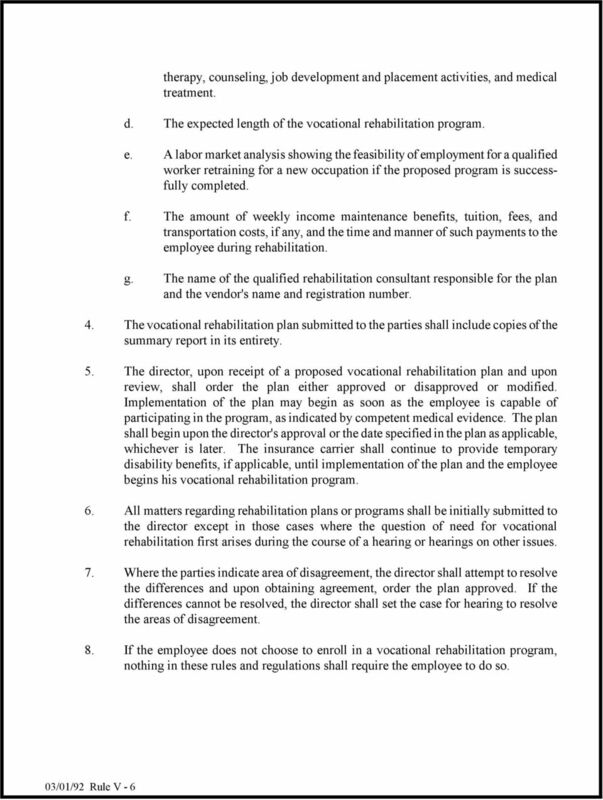 SUMMARY Revises provisions governing workers compensation. Your Rights Under the Missouri Workers Compensation Law All states have workers compensation laws. 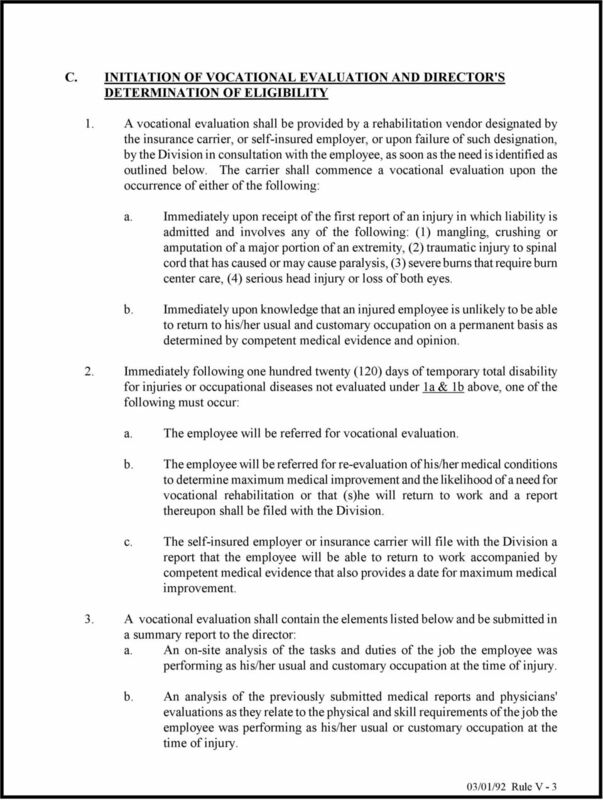 The Missouri Workers Compensation Law is contained in Chapter 287 of the Revised Statutes of Missouri. Workers Compensation Frequently Asked Questions Injured Workers Employers Adjusters/Attorneys/Insurers Vocational Rehabilitation Injured Workers What do I do if my employer has failed to file a claim? 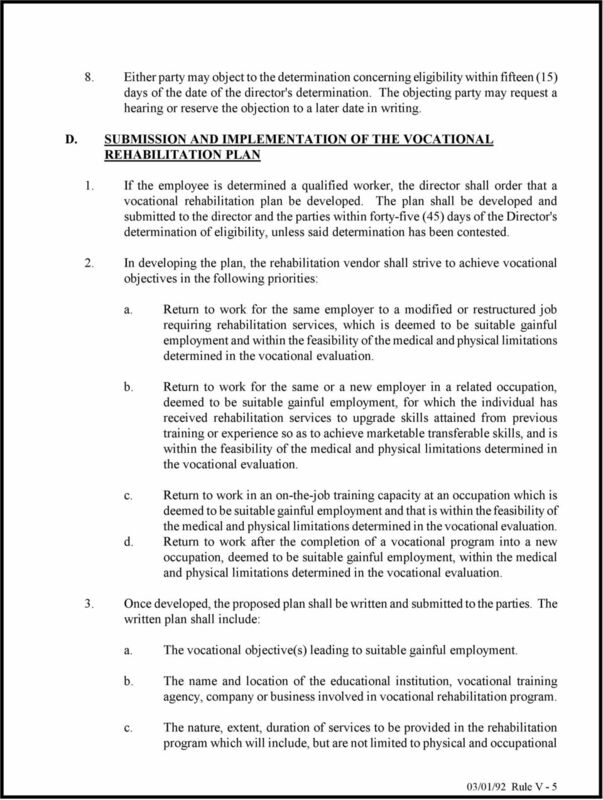 The Role of the Workplace Rehabilitation Provider The Role of the Workplace Rehabilitation Provider 1 Please note This information is for guidance only and is not to be taken as an expression of the law. 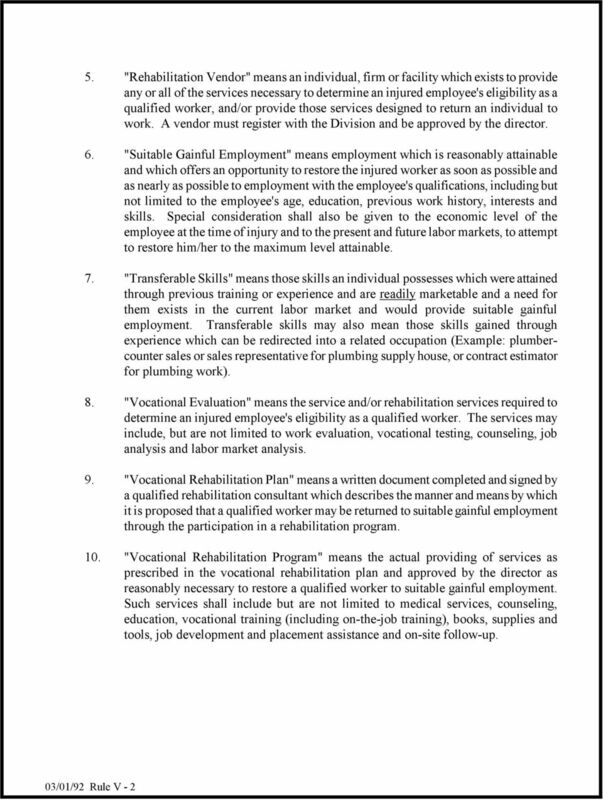 Table of Contents DEPARTMENT OF LABOR OFFICE OF WORKERS' COMPENSATION Title 40 Labor and Employment Part I. Workers' Compensation Administration Chapter 1. 101. Purpose... 1-1 103. Definitions... 1-1 105.